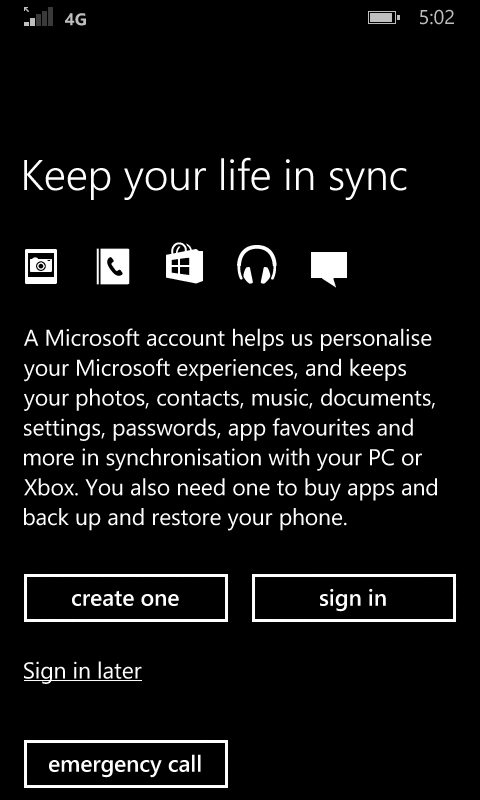 I was pleasantly surprised at the upgraded out-of-box experience that comes with Windows Phone 8.1. The cellular network setup that used to be separate from the initial setup has now been merged, and the overall setup process has been simplified. 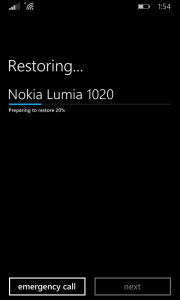 I ran a restore from my Nokia Lumia 1020 which quickly brought back all my accounts, contacts, apps and customization options (even backgrounds and tiles) in less than 10 minutes. The Lumia 635 I got came with OS version 8.10.12382.878 which is the latest publicly available version of Windows Phone to the public. 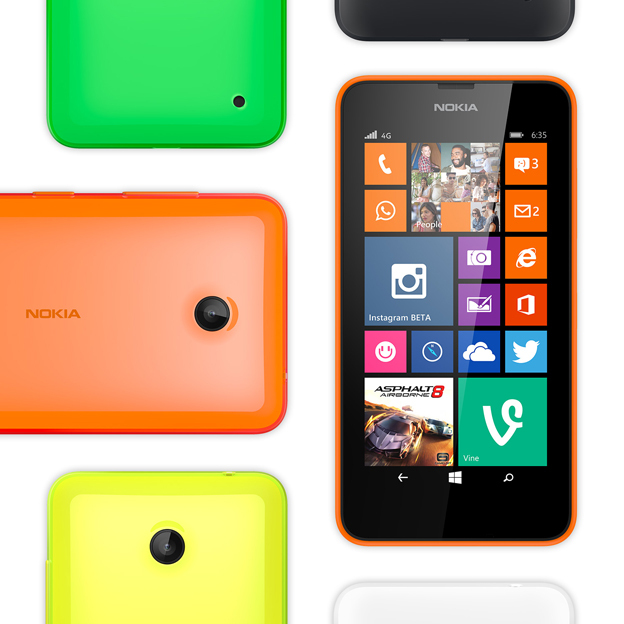 The Nokia Lumia 635 is the first phone launched in Singapore that comes with Windows Phone 8.1 out of the box. WP 8.1 brings several new improvements and updated functionality to the platform such as more ways to customize and make the phone personal, Action Centre – the long awaited drop down notification and settings panel – and many more. Along with being the first Windows Phone 8.1 device to hit our shores, the Lumia 635 is also the first to sport on-screen bottom buttons. Windows Phone devices have generally come with three core buttons at the bottom – Back, Start and Search. 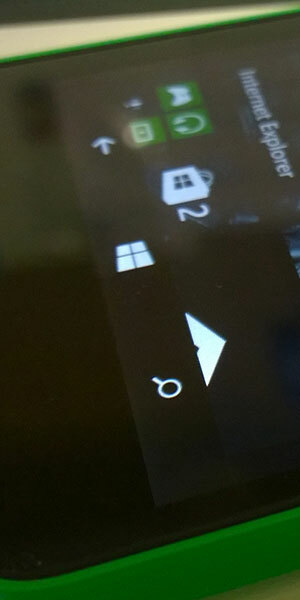 On the Lumia 635, these buttons are virtually displayed on the screen itself instead of being physically implemented. One can further customize the colors of this “navigation bar” within the phone’s settings. 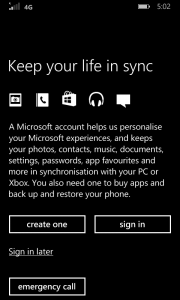 Coming from another Windows Phone, I expected this to impair my usage but I faced little issue adapting to this layout. Admittedly though, it doesn’t look as fancy as its normal implementation. This is a device of many firsts – not all good. As device on the low-end section of Windows Phone devices, the Lumia 635 is also lacking a physical camera button present in other WPs. It also lacks a front-facing camera which can be a disappointment to selfie-fanatics. Connectivity-wise, the Lumia 635 has 4G connectivity but does not have dual-SIM – a feature present in its distant cousin the Lumia 630 (which is unlikely to come to Singapore) that is sorely missed. It uses microSIM cards and has support for micro SD cards. With a display size of 4.5-inches the Lumia 635 in totality is about the same size as my Lumia 1020 – really good for a device of its price range. Surprisingly, it has Gorilla Glass 3 which brings the phone in line with Nokia’s reputation for sturdy devices with a scratch-resistant screen. 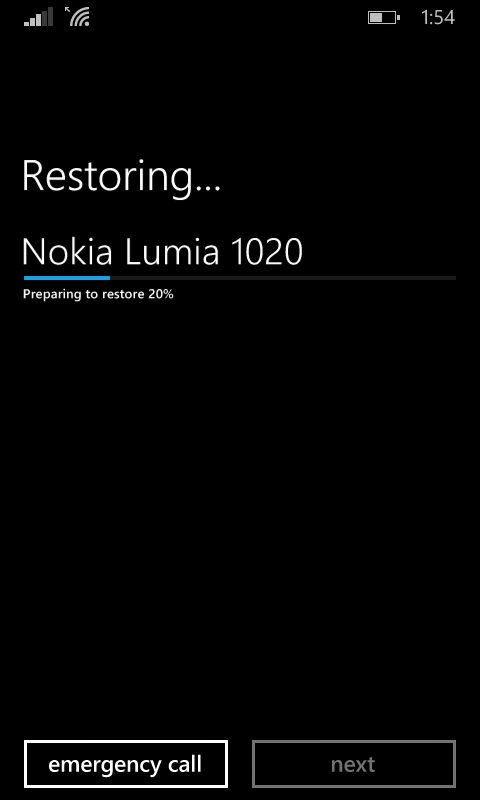 The major difference is that the display has a resolution of 854 x 480 compared to the Lumia 1020 at 1280 x 768. Unfortunately, it only has 512 MB of RAM. This means some intensive apps (games in particular) won’t be able to run. The camera is also an abysmal 5 MP but should be good enough for someone who needs a basic smartphone and doesn’t take too many photos. The back cover of the Lumia 635 is actually a shell that one can change – available in green, orange, yellow, white or black. 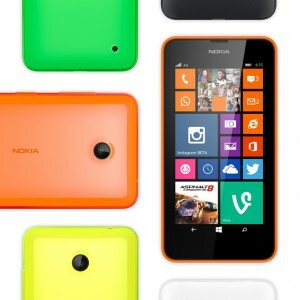 These shells are not available in Singapore yet but will eventually be available at Nokia Stores and Solution Partners. The Nokia Lumia 635 is unfortunately nothing special and like other low-end devices, should cater to those on a budget or perhaps those who need a spare phone. At a launch price of SGD 239, I suppose one can’t really complain about the lack of features found in other Windows Phone devices. It should be noted that core functions still work smoothly like any other Windows Phone and should be a great phone for someone not looking to use more than just the basic functions of a smartphone and maybe some popular apps. One can purchase the Nokia Lumia 635 from Nokia Stores and Solution Partners for SGD 239 and at local telcos (StarHub / SingTel / M1) mostly for free under contract. 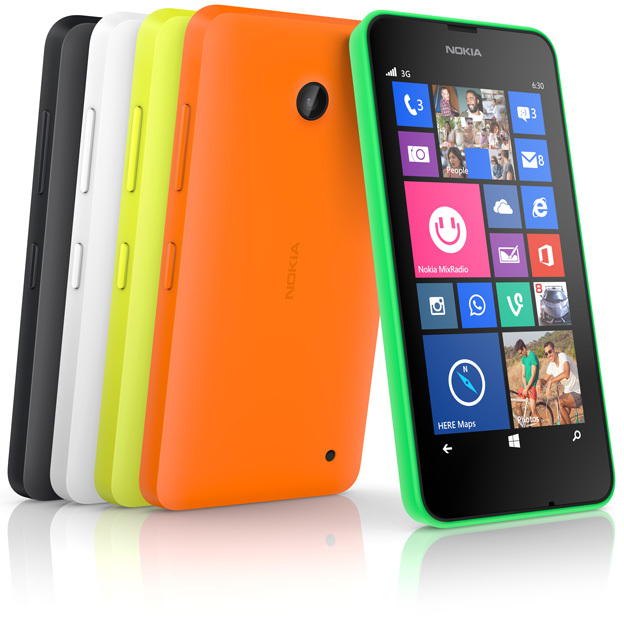 For more information, check out the Nokia Lumia 635 Press Release here.